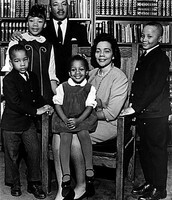 Martin Luther King Jr. was the second child to Martin Luther King Sr. and Alberta Williams King. He was raised in Atlanta, Georgia in the Sweet Auburn neighborhood, an area where the most prominent and prosperous African Americans in the country were said to live. At the age of 15 he was admitted to Morehouse college in order to practice medicine and law. It was here he met Dr. Benjamin Mays who influenced King to join the ministry like his father. After graduating at the top of his predominantly white class, King entered Boston University to earn his doctorate in systematic theology. It was here he met Corretta Scott who would later become Mrs. King. They married in 1953 and settled in Montgomery, Alabama where they had four children and King became the Pastor of the Dexter Avenue Baptist Church. King gained prominence in the Civil Rights Movement after being elected to head the Montgomery Bus Boycott. He along with other African American ministers of the south founded the Southern Christian Leadership Conference (SCLC) which preached equality for African Americans through nonviolent methods. King was also involved in the Birmingham protests which consisted of multiple sit-ins, marches, and boycotts to protest segregation, unfair hiring practices, and other civil rights violations. King was arrested on April 12, 1963 where he wrote letter of Birmingham jail which stirred the nation with his criticisms of segregation. Also in 1963 King after being released from prison led civil rights and religious groups on the famous March on Washington. Here he gave his iconic "I Have a Dream" speech in which he called for peace and equality. 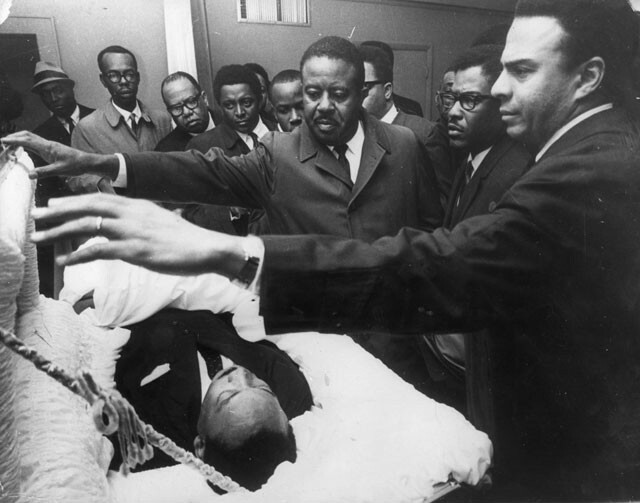 April 4, 1968 King was fatally shot in Memphis by James Earl Ray. Malcolm Little was born May 19, 1925 in Omaha Nebraska and the son of a Baptist preacher who received threats from the Ku Klux Klan which forced his family to relocate to Lansing Michigan. Malcolm's father was later killed by members of the Klan and his death deemed a suicide. Welfare caseworkers then separated Malcolm from his family at the age of six. After the eighth grade Malcolm dropped out of school and began a life of crime. 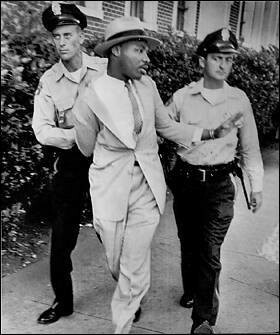 He was later arrested and sent to jail where he met Elijah Muhammad, the leader of the Nation of Islam. He became a disciple of Muhammad's teachings which stated that only blacks could make the world better for themselves. 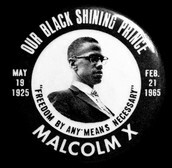 It was at this time Malcolm Little dropped his surname Little as his slave name and adopted X to show his lost roots. After being released from prison Malcolm became the minster of Temple no. 7 in Harlem. Initially X despised whites and insisted that blacks separate themselves from whites. He urged blacks to create communities without whites and that they should rely on themselves to solve their own problems. X also preached self defense against the white man and achieving their goals by any means necessary. 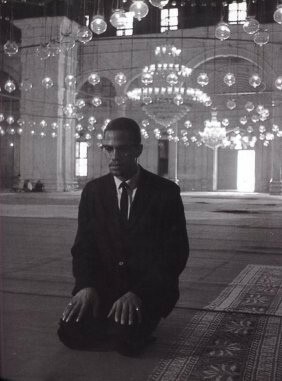 In 1964 Malcolm X went on pilgrimage to Mecca where he met Muslims of all races praying together. He then changed his name to el-Hajj Malik el-Shabazz and began to preach more acceptance of all races rather than black power. 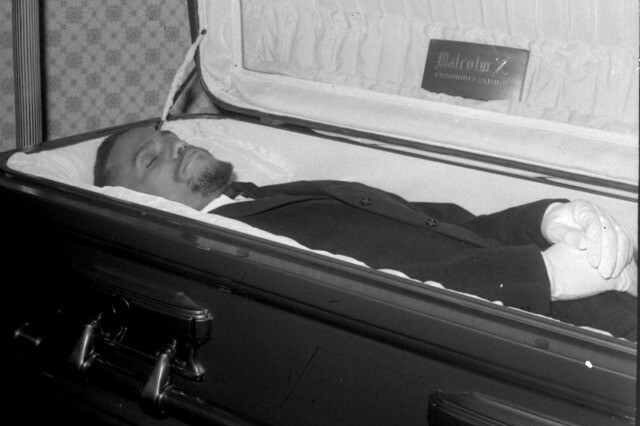 However many members of the Nation of Islam did not agree with Shabazz's view and assassinated him on February 21, 1965 in New York. King waves to the civil rights supporters before his speech on the march non Washington. 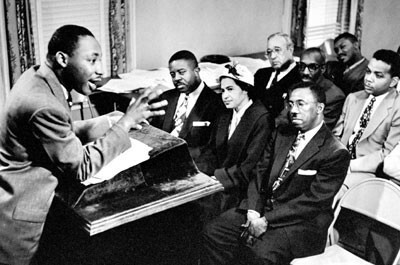 King discusses with other Civil Rights leaders on how to proceed with the Boycott. 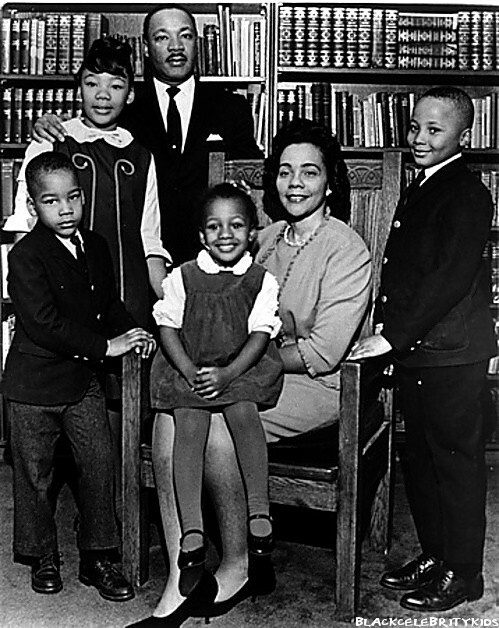 MLK with his wife Coretta Scott King, daughters: Bernice King, Yolanda King, and Sons: Dexter Scott King and Martin Luther King III. MLK is arrested during a peaceful protest in Birmingham Alabama. 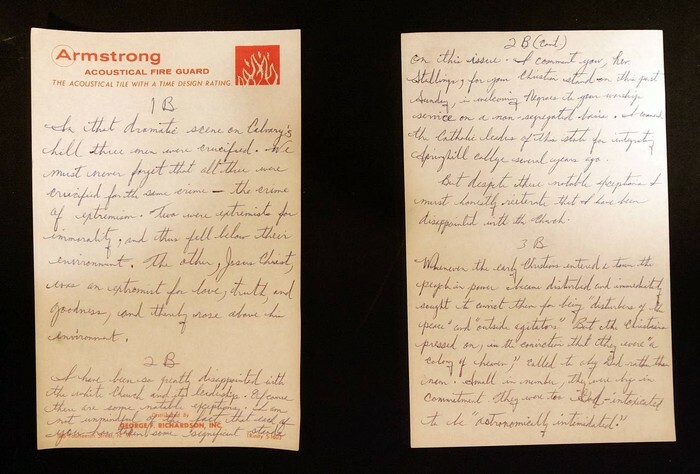 Letter written by MLK during his time in Birmingham jail defending nonviolent protests against racism. Civil rights supporters pay their respects to the great Civil Rights leader. Malcolm X speaking to members of the black power movement. 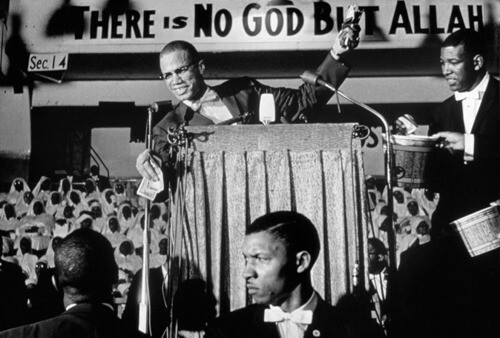 X speaks as an orator for the nation of Islam before he left the group. Black power movement used Malcolm X as an icon for support. 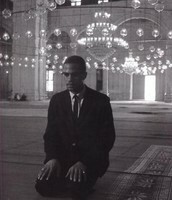 Malcolm X travels to Mecca where his perception of Civil Rights is changed. 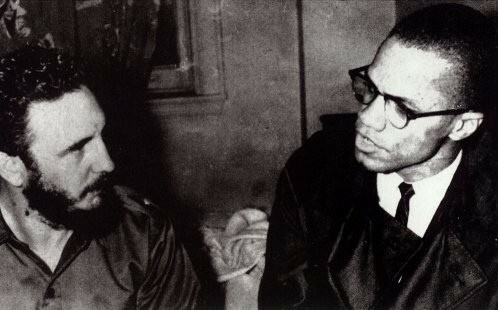 Malcolm X and Fidel Castro meet in the Theresa Hotel in Harlem. Malcolm X is assassinated by members of the Nation of Islam. MLK was a civil rights leader who stood for peace no matter the situation that arose. He preached that blacks should love all others despite color and never respond with violence. He believed that their goals could be achieved by showing their willpower in the face of adversity. "We who engage in nonviolent direct action are not the creators of tension. We merely bring to the surface the hidden tension that is already alive." MLK's Letter from Birmingham Jail, April 16, 1963. King believed that violence was not the way to achieve their goals and would most likely hinder their progress. Malcolm X on the other hand believed that in order for the blacks to truly achieve civil rights they had to create their own society independent from whites and should defend themselves when faced with violence. "Be peaceful, be courteous, obey the law, respect everyone; but if someone puts his hand on you, send him to the cemetery." 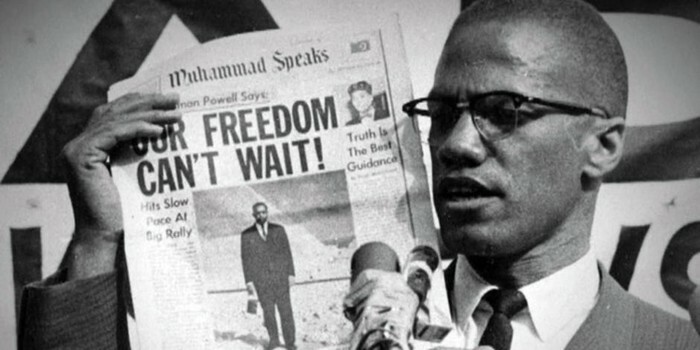 Malcolm wanted black people to take their freedom into their own hands and fight for their rights rather than waiting for the white men in charge to make a decision like MLK. 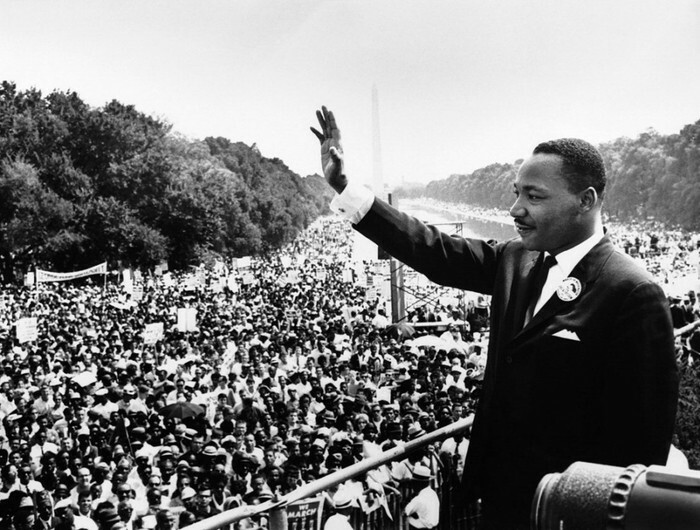 Martin Luther King was considered to be one of the most influential and peaceful Civil Rights leaders of his time. This is contrary to Malcolm X who was considered an agitator and urged blacks to defend themselves against white aggression. However both had the best interests of African Americans at heart. “You cannot be afraid to speak up and speak out for what you believe. You have to have courage, raw courage.” John Lewis. Both men stood for what they believed in and they both died doing so. However they both wanted the best for their people and in the end were more alike than initially believed.